Dubai Tourism and its city partners have stimulated interest from African markets after a series of exciting on-ground consumer and trade activations at the Akwaaba African Travel Market in Lagos in November. With Nigeria increasingly becoming one of Dubai’s best-performing African markets, with over 300,000 visitors arriving in Dubai from the country in 2014, Dubai Tourism’s participation reinforced its interest in the Nigeria as it looks to increase the tourism from the country as well as the African Continent in 2016. 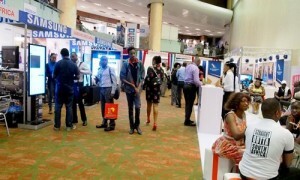 The Akwaaba African Travel Market was held from 22-24 November in Lagos, Nigeria, where Dubai Tourism was joined by city partners including Emaar, Emirates, Arabian Adventures, Desert Gate and Dubai Parks and Resorts to highlight Dubai’s attractive shopping and entertainment offerings. Receiving positive feedback, Dubai Tourism won ‘best international stand’ at its inaugural Gala Dinner at the travel market. The visit was timed with Dubai Tourism’s launch of its advertising and consumer campaign in Nigeria, highlighting Dubai Shopping Festival. This included an enticing consumer prize giveaway with local venues and radio stations, offering 200 people the chance to win a trip to Dubai Shopping Festival 2016. With brand new hotels, several new attractions and world class theme parks opening in 2016, Dubai Tourism will continue to focus on attracting travellers from African markets with promotional activities for Dubai Food Festival, Dubai Summer Surprises, Eid in Dubai and many more.